The camelia lass has a thing for old-fashioned songs and music. Miss Sakura is a bit of a tomboy, but in a charming way. And finally, the wearer of the morning glory outfit loves to offer visitors to her home the hospitality of a freshly brewed cup of tea. Despite their purportedly personalized personalities, each girl is portrayed by cosplayer Kuroneko. 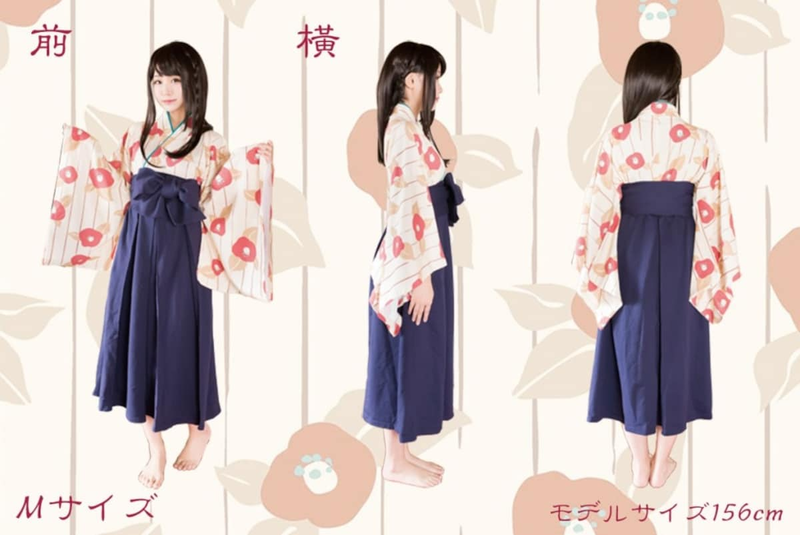 As with many of Mocolle’s ventures, the all-cotton Yuru Hakama room wear is starting out as a crowdfunding campaign on website Campfire. Also, as with many of the company’s projects, it’s thoroughly smashed its goal, having raised more than ¥3.8 million (approximately US$34,500) after setting an initial goal of one million yen. In other words, if these outfits look like something you’d like to lounge around the house in, instead of worrying if Mocolle will get the funds it needs to put them into production, the thing to worry about is them running out before you get yours. Thankfully the garments are still available here through Campfire, with prices starting at ¥8,640 (US$77).